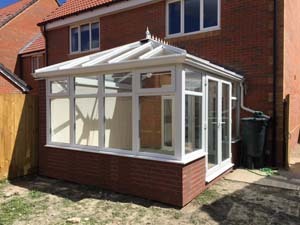 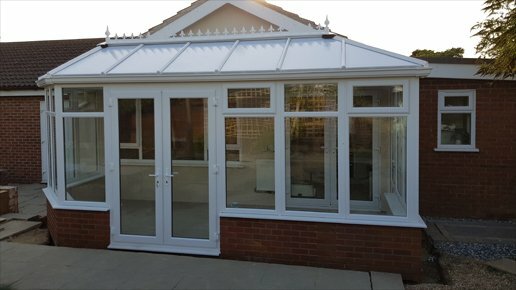 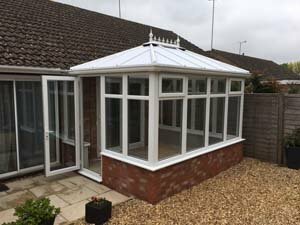 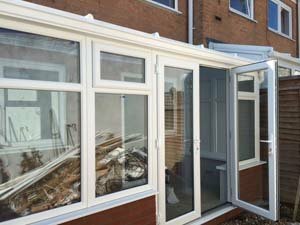 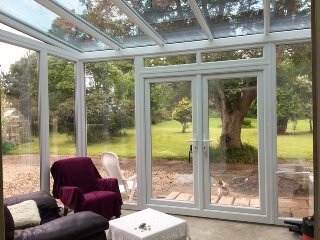 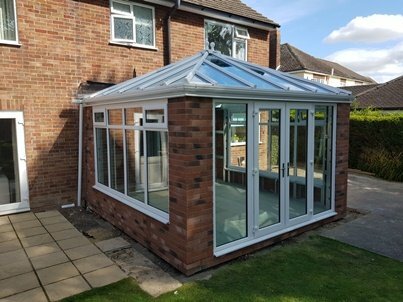 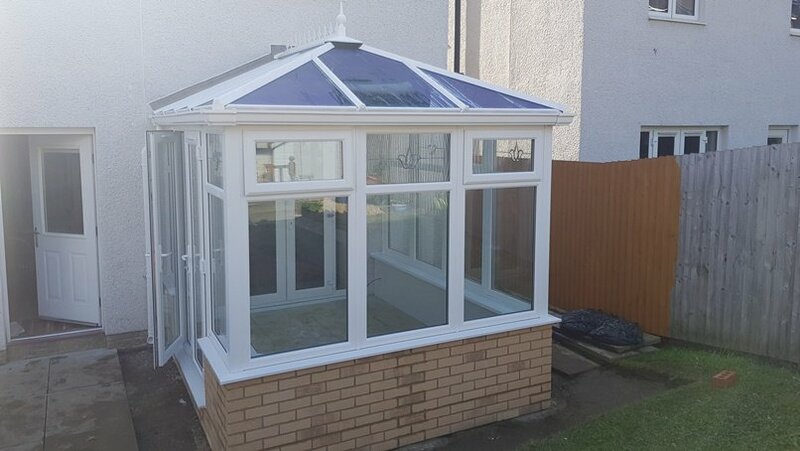 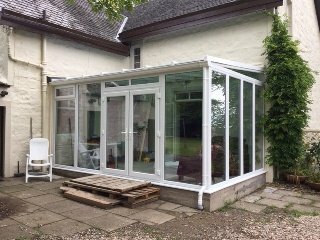 Durabase conservatory with a full height wall in rosewood on white. 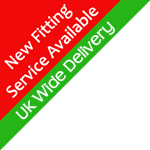 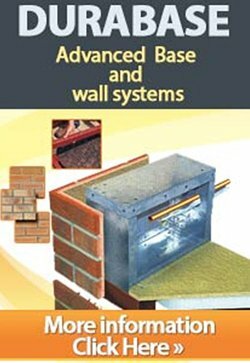 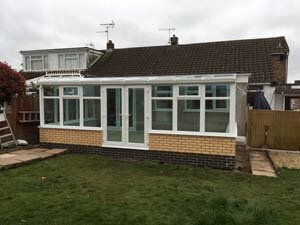 If you look into the conservatory you can see the back of the durabase making it easy for wiring prior to plaster boarding and closing up the wall. 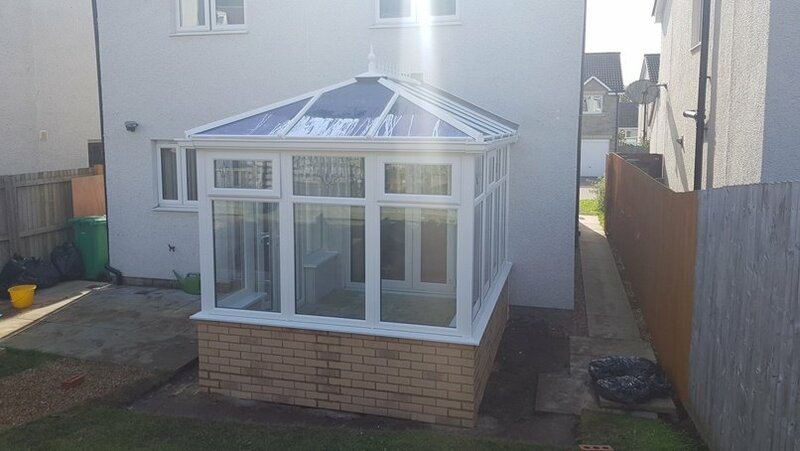 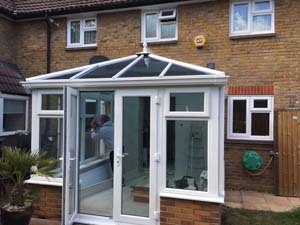 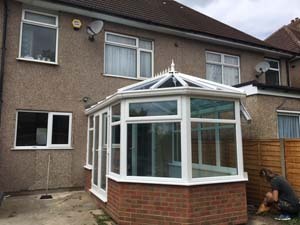 Durabase is so flexible that on this build the customer wanted a 3/4 wall to the left and we were able to build the rest of the conservatory with a full height glass , glass panel. 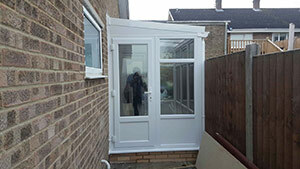 Customer self build just the conservatory steps to finish Nice job !! 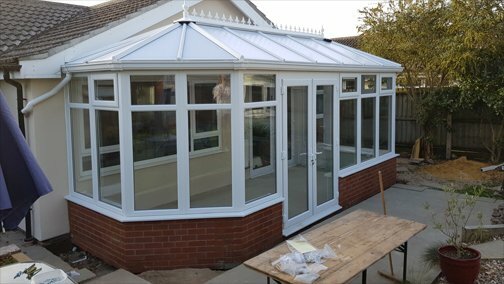 Thanks Kevin, just what's needed. 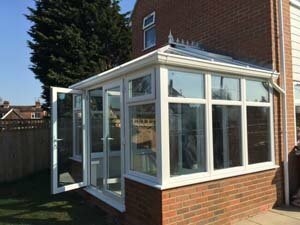 Finished conservatory looks excellent and has given us a great deal of pleasure.